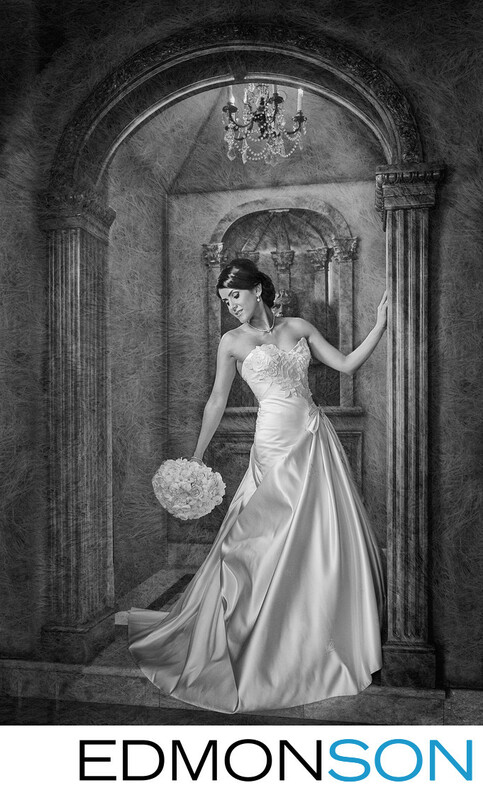 A gorgeous Persian bride has her bridal portrait made in a private mansion. The Italian styling provides a luxurious styling for the setting. Later she would have her ceremony at the Ritz-Carlton, Dallas. 1/80; f/4.0; ISO 400; 28.0 mm.